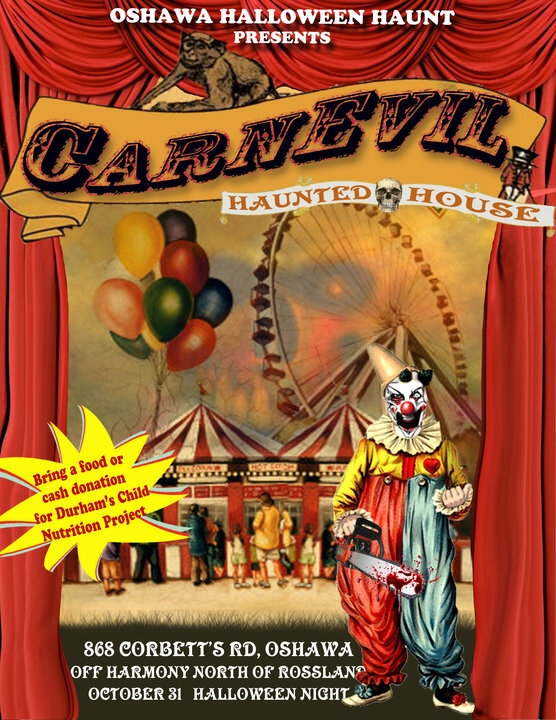 Free Haunted House in Oshawa with a Food Donation (nut-free- healthy cereal, granola bars, oatmeal). This is a very scary haunted house not recommended for young children. With Live actors and unique set design. This entry was posted on October 4, 2010 at 8:27 am and is filed under Uncategorized. You can follow any responses to this entry through the RSS 2.0 feed. You can leave a response, or trackback from your own site.